UAE authorities have taken urgent measures to protect consumers following the seizure of hundreds of contaminated vimto drinks in two emirates. The Ministry of Economy said it had contacted the Dubai-based manufacturing company and asked authorities in each emirate to intensify inspection of shops to ensure no contaminated Vimto drinks remain in the market. 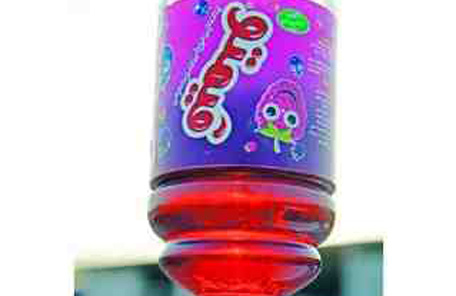 The Ministry said it had received information that hundreds of Vimto drinks had been seized in Ajman and Fujairah. “We have taken urgent measures and this is normal in such conditions…we have contacted all competent authorities in the emirates to check their vimto stuff and ensure they do not pose health hazards to the public,” said Hashim Al Nuaimi, head of the consumer protection section at the Ministry. “The confiscation of those bottles were in two emirates but it is important that other emirates take measures to ensure public safety, which is a priority for us,” he told the semi official daily Alittihad. Hundreds of vimto bottles containing bacteria and gel substances have been seized in Ajman and Fujeirah over the past week. Ajman authorities said they had contacted Dubai’s municipality to act against Aujan company which produced those products.